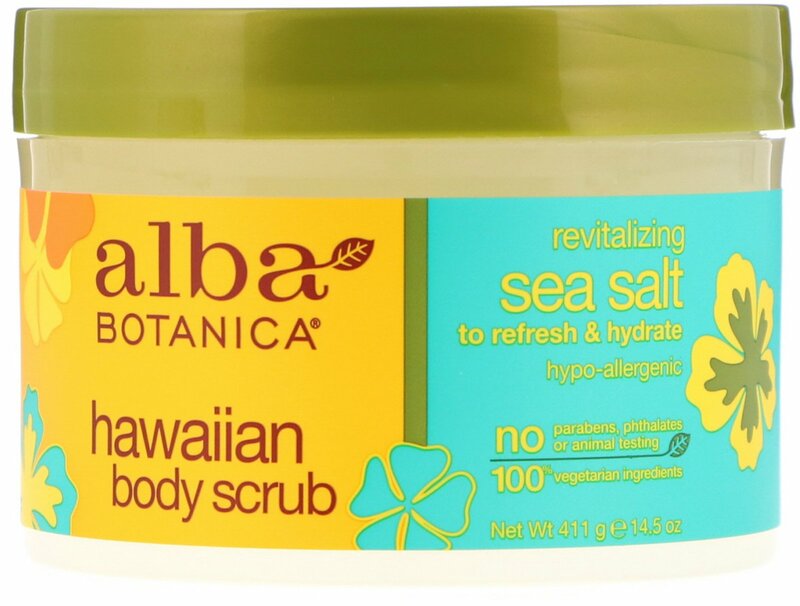 Wake up bright delight with this purifying scrub. Revitalizing Pacific sea salts deeply detox and exfoliate while a burst of citrus awakens and renews. 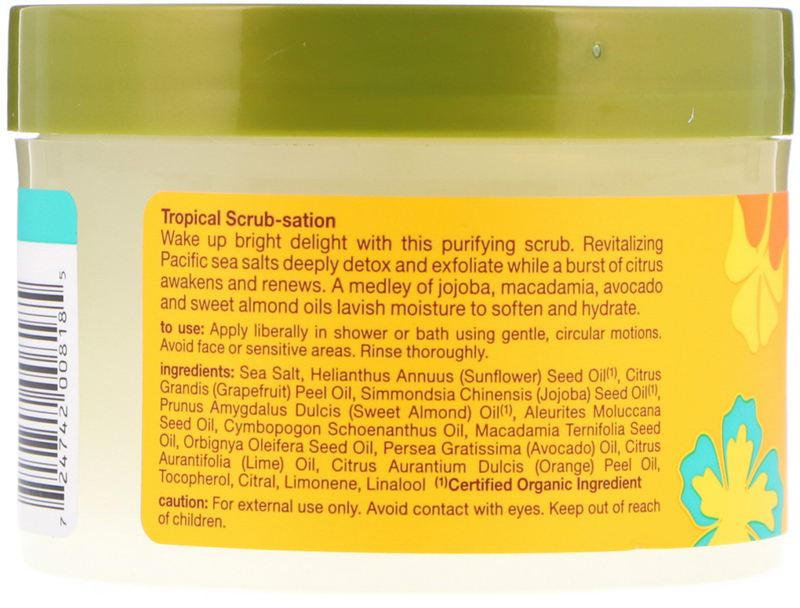 A medley of jojoba, macadamia, avocado and sweet almond oils lavish moisture to soften and hydrate. Apply liberally in shower or bath using gentle, circular motions. Avoid face or sensitive areas. Rinse thoroughly. Sea salt, helianthus annuus (sunflower) oil*, citrus grandis (grapefruit) peel oil, simmondsia chinensis (jojoba) seed oil*, prunus amygdalus dulcis (sweet almond) oil*, aleurites moluccana seed oil, cymbopogon schoenanthus oil, macadamia ternifolia seed oil, orbignya oleifera seed oil, persea gratissima (avocado) oil, citrus aurantifolia (lime) oil, citrus aurantium dulcis (orange) peel oil, tocopherol, citral, limonene, linalool. No: Artificial colors, parabens, sodium lauryl/laureth sulfate or sodium myreth sulfate.